Why Do You Require Semester Registration? 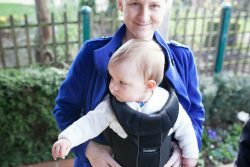 Breathing Space does not allow single class drop-ins to kids & family classes for crawling babies or older children. Why? We’ve written before about the benefits of committing to a weekly yoga class. Children, even more than adults, benefit from the consistency and progressive teaching enabled by full registration. Kids yoga operates in an unusual context. While adult yoga classes are very often drop-in based, you cannot just occasionally show up to any other kind of teacher-directed children’s class. There’s no drop-in ballet, gymnastics, music, art, karate, etc. All of these programs require registration in a series of classes or monthly membership. This creates a stable class and allows lessons to build upon on each other. As a parent, there are tons of demands on my time and regularly attending a class requires commitment. Paying ahead of time gives me that sense of obligation to actually go every week. This is true for me with my own classes and it’s doubly true for me to motivate my child out of the house, even for activities she (or we both) adore. Drop-in classes are not in the best interest of the child. It often takes 3 or 4 classes for a child, especially a toddler, to feel comfortable with a new place, new people, and a new routine. Children benefit from repetition and structure. Since drop-in students tend to only show up once or twice a semester, they miss out on the full benefits of the experience. Drop-ins detract from the experience of the students who have committed to a full session of classes because my attention is drawn to the new student – on everything from taking payment and filling in the parent on policies, facilities, and expectations, to making the new child feel comfortable. That they aren’t sure if class will be right for their child. We get that. 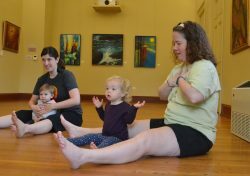 It can be hard to even imagine a toddler or preschooler yoga class if you’ve never attended one. If there is space in your class, you may bring a friend as your make-up class. Please confirm space availability with your instructor.